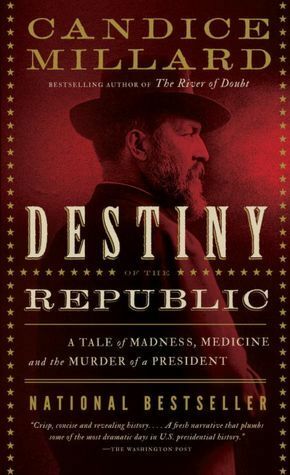 Assassin Charles Guiteau believed he was doing God’s work in killing President James Garfield. Surely he would be rewarded with the consulship to France he long sought; surely Vice-president Chester Author would be delighted and grateful by Guiteau’s deed; surely General William Tecumseh Sherman would come to free Guiteau from his jail cell; and surely the American people would celebrate and insist he become president, himself. Guiteau’s flights of fancy followed his flights from creditors all his life; he would bluff and borrow then skip town, chasing one idea after the next till he hit upon the idea that killing the president would turn his fortunes around. The man’s delusions were astounding to read. Guiteau is only one part of Candice Millard’s well-researched, but never for a moment dull, book on the events surrounding the assassination of the twentieth president. What unfolds are tales of life’s ironies interwoven with tragic results for Garfield, his physician D. Willard Bliss, Alexander Graham Bell, Arthur, the spoils system, Robert Lincoln, and on and on. For a man who never sought to be president, there were few so worthy to be one as Garfield. 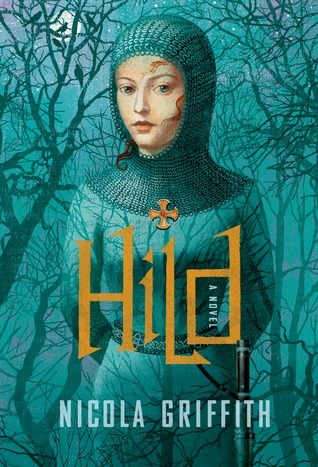 Hild is an amazing historical novel. I can’t recall another recent novel that so superbly puts me in the world the author creates. The work seems effortless. Whenever I open the book, it’s only a sentence or two till I’m back in seventh-century Britain. 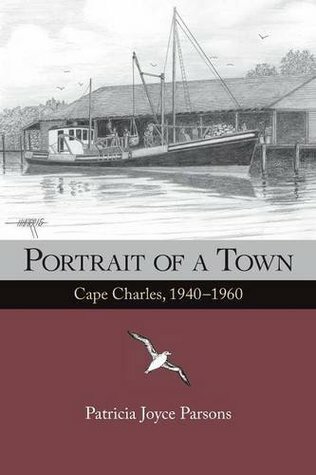 Author Nicola Griffith’s skill is par excellence. The narrative is lush, scented, textured, alive. The book is Griffith’s recreation of the life of the very real Hild (Saint Hilda of Whitby) based on the scant documents of her and that period that survive today. Seamlessly woven into the real historic figures and events of the period are Griffith’s fictional characters and circumstances. Hild is a young girl and niece to King Edwin. In the midst of clashing tribes, Christianity is making inroads on the island, replacing the old gods. But superstition still holds, and Hild’s visions come to pass, earning the king’s trust and favor, while also earning the enmity of the chief priest Paulinus, who sees her as a rival and a witch. As her influence grows so does the danger.